By Emma Mulholland | October 27, 2015. 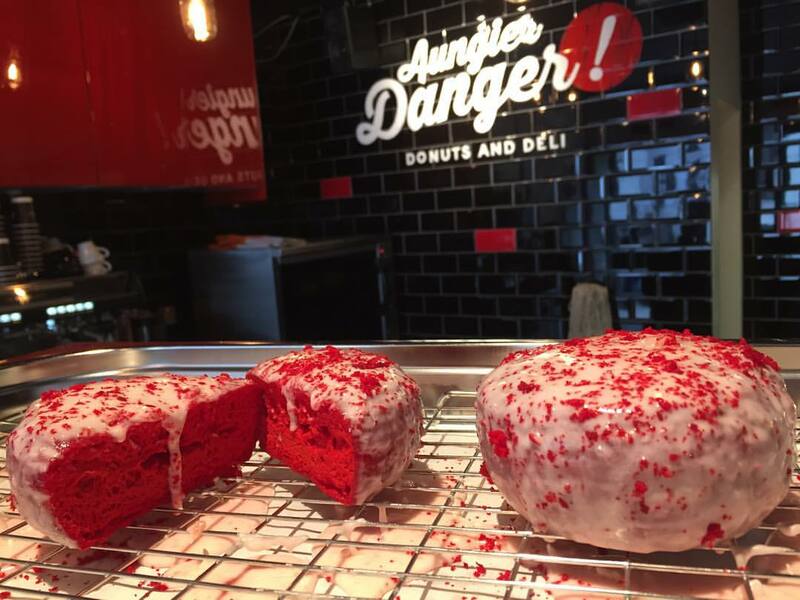 The Liberties is now home to a new doughnut bar, Aungier Danger, which has caused quite a stir already despite only being open since Monday. The crime scene themed shop keeps its theme with the names of its delicious desserts. ‘The Banoffe Autopsy’, ‘Dublin Deathtrap’ and ‘Cherry Gunshot’ can be purchased from the Aungier St. location from 7.30 am. But be quick, because once those doughnuts are gone, the store closes! On its first day opening doughnuts were sold out by lunch time, proving that the Liberties have gone sugar mad. The pastry – smothered doughnuts can be seen made right before your eyes. Make sure to get your dibs on the one you want because they certainly don’t last long. You can also pick up your morning coffee, served from The Barn to wash down the €3 treats. Queues out the door can be seen from early as 8 a.m.
Aungier Danger is the perfect addition to the Liberties which has an abundance of quirky stores. Pop in for your morning coffee and be welcomed by the trendy, loud music that is sure to wake you up and get you hyped up for the day.